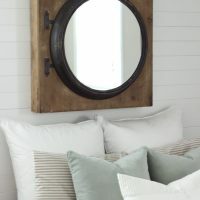 Okay, last week we all I had a lesson on what a Euro Sham was and how it helped take my bedroom up a notch in the “grown-up” category. Like seriously, was I the only one who had no idea what these enlarged pillows were and how they mysteriously make your bed look completely official and right out of the pages of a magazine? Along with the Euro Sham discovery, there’s a little something else that has recently helped our master look a lot more “official”. 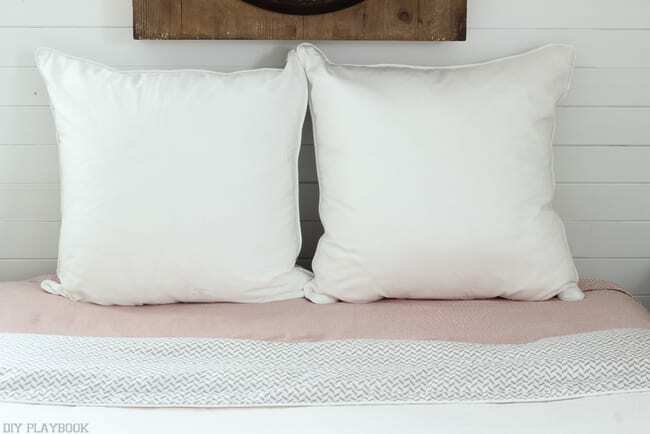 Feast your eyes on our new & improved crisp white bedding. And yes, this bed is just as comfy it looks. But no, our bed does not get made everyday (sorry mom). 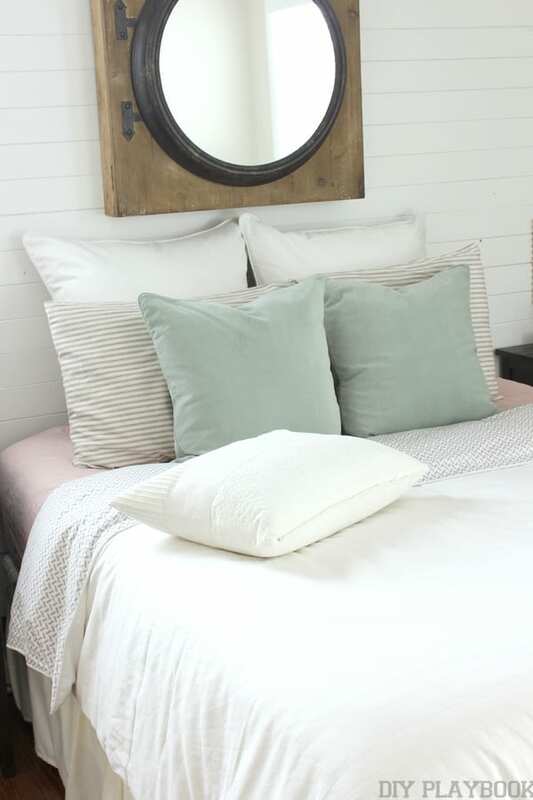 Whether it’s made or not, I am totally digging this white duvet I recently got from Crane & Canopy. 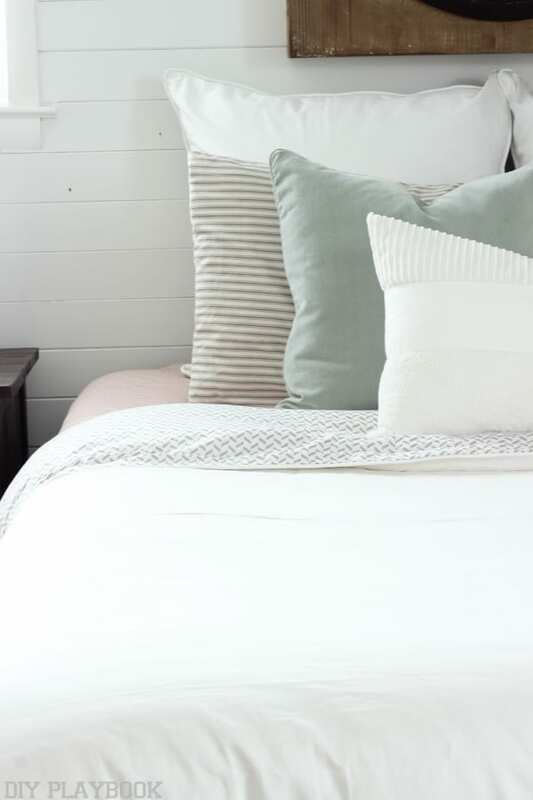 Before this new duvet, we used a plain comforter without a duvet, which was fineeee…. I just didn’t feel like our bed ever had a “finished” look. The duvet gives it that “finished” look and just like those dang Euros, this extra material mysteriously brings our bedroom up on the grown-up scale like 12 notches. Apparently I’ve been hibernating right through the Grown-Up Bedroom Tips 101? My favorite part of this duvet/sham set is that it is reversible! I love the subtle grey detail because it adds a touch of texture and pattern into the mix. It’s just enough without being over-the-top or gaudy. 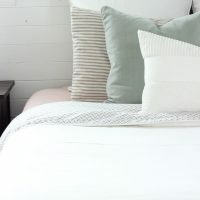 Plus, I love that this subtle pattern is versatile so I can reverse the bedding if I wanted to change things up someday. The Euro shams match the bedding as well. They are white on one side and have the same grey pattern on the reverse side, which could also be a fun option to change things up in the future. <– so many options! The white is so classic, bright and clean looking, which is exactly the “feel” I strive for in this relaxing space. 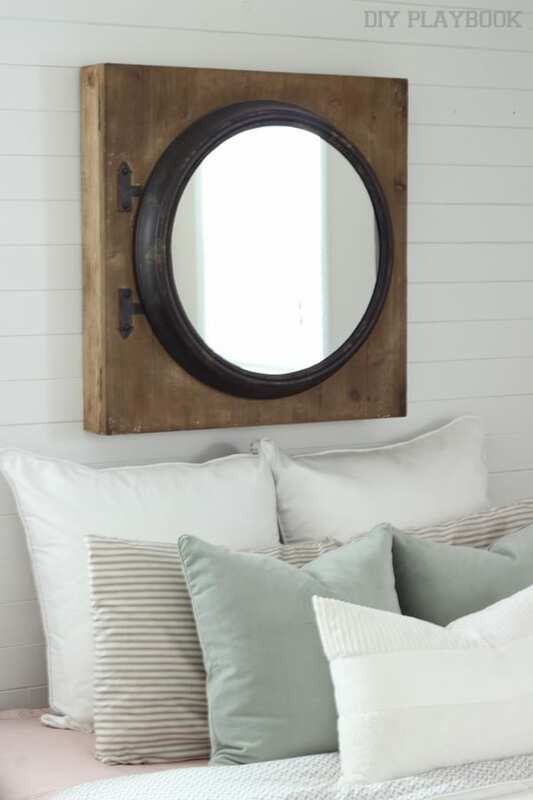 Plus, I love that this neutral look will pair well with any pillow combos. But let’s be real here, I don’t foresee any changes anytime soon. 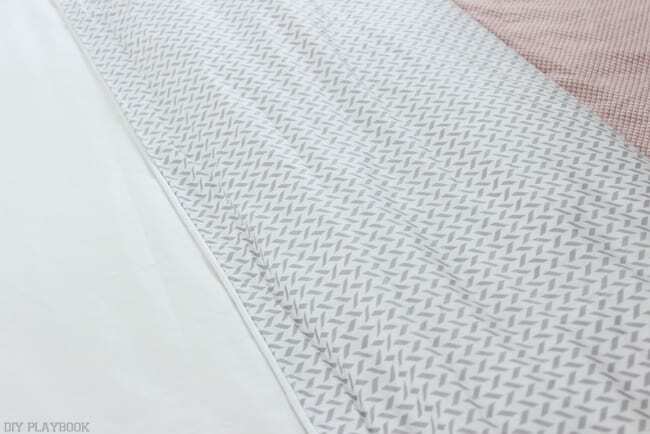 I am totally loving our new bedding, loving how soft and versatile it is, and really loving the fact that I can wash it so easily! The Crane & Canopy Bedding is here to stay! And if we’re still being honest, it doesn’t look like I’m going anywhere anytime soon either. Comfy bed + my laptop + coffee = Happiness. 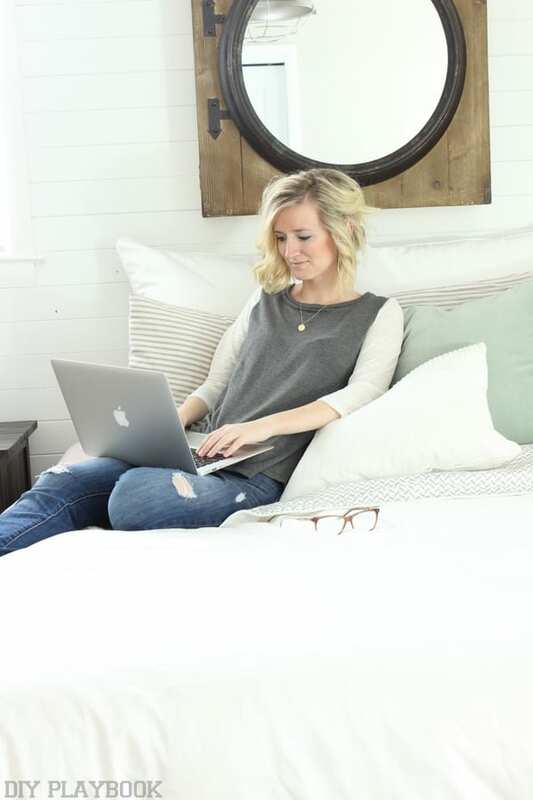 Check back tomorrow to get the scoop on Casey’s bedding (I’m in love with hers too!!). Spoiler Alert: it’s from Crane & Canopy — which set would you choose for your bedroom? !